Ultimate security can be all yours. 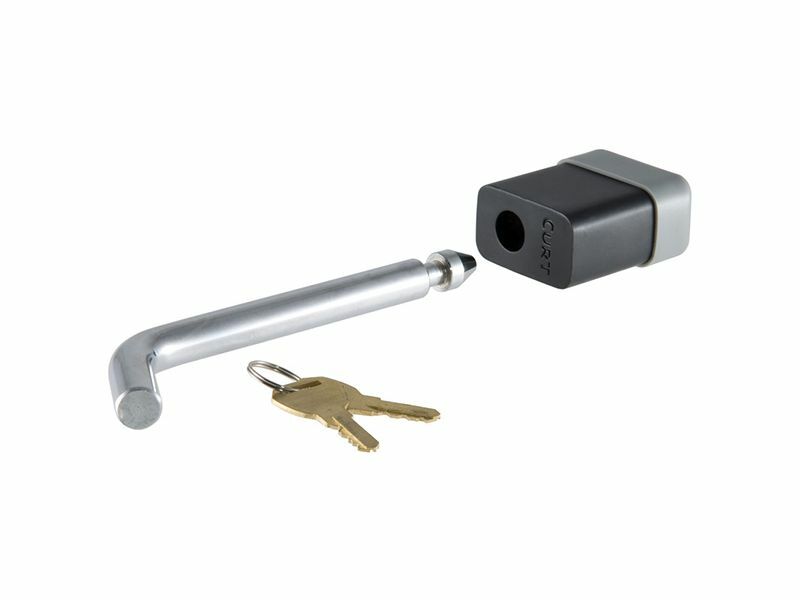 The Curt trailer hitch locks & coupler locks are a great product for you to add extra protection to secure your towing. No one wants to worry about their receiver hitch coming undone while towing and with these locks worry no more! Secure your receiver with a quick and easy curt deadbolt receiver hitch lock. Easily lock them into place as they are easy to use. Simply snap the lock end on shaft and it automatically locks. The lock cannot pop open or false lock giving you extra defense against it unlatching. With the provided dust cap, no dirt will get into and affect the hitch locks. Providing extra keys in case you lose one or just need an extra set, this is the locking set for you! Available in multiple finishes and sizes, you can purchase the lock that works best for your towing needs. Prevent theft of hitch steps and other hitch accessories with the Curt trailer hitch locks and coupler locks. The Curt trailer hitch locks & coupler locks are featuring an easy installation. There is an installation manual that is sent with these locks, offering clear cut and easy to read instructions. For additional information please call us at 1-877-216-5446.